Michael Newell was born on 28 March 1942 in St. Albans. While reading English at Cambridge he began directing student theatrical productions. After graduating in 1963 he joined Granada as a trainee director, moving from news and documentaries via serials to plays. In 1968 he turned to freelance production, collaborating with playwrights such as David Hare , John Osborne and Jack Rosenthal . Although his television film The Man in the Iron Mask (UK/US, 1977) received a limited theatrical release, Newell's move away from television was gradual. In 1980 he directed The Awakening , a horror film based on Bram Stoker 's The Jewel of the Seven Stars, backed by EMI and Orion . It was followed by the grim New Zealand-set Bad Blood , made for the independent company TVS , and five films - Dance with a Stranger (1985), The Good Father (1987), Soursweet (1988), Into the West (Ireland/UK/US, 1992) and Four Weddings and a Funeral (1994) partly financed by Channel 4 . Dance with a Stranger , scripted by Shelagh Delaney , is the story of Ruth Ellis ( Miranda Richardson ), the last woman to be hanged in Britain. Newell cleverly deploys his limited resources to evoke Britain in the 1950s; and Miranda Richardson and Rupert Everett give fine performances as victims of a society riven by class prejudice and moral hypocrisy. The Good Father , set in contemporary London, with Anthony Hopkins and Jim Broadbent as disgruntled fathers seemingly outsmarted by their newly independent ex-wives, is less flamboyantly cinematic, but it draws an uncomfortably accurate portrait of the selfish, divisive society of the 1980s. Soursweet , from a script by Ian McEwan and Into the West , scripted by Jim Sheridan , explores ethnic identity and employs elements of magic realism. Taken together, these films constitute a modestly impressive body of work and showed Newell to be a sensitive and versatile director. 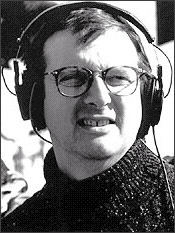 In 1991 Newell directed Enchanted April for BBC television (tx. 5/4/1992), but released theatrically in the USA, where its whimsical Englishness proved highly popular. Four Weddings and a Funeral was even more of a success, breaking box-office records in Britain after its warm reception in America and going on to reap huge financial rewards internationally. Though it raised the profile and revived the fortunes of British film production, Newell made no attempt to confine himself to its formula of feelgood romantic comedy. His next film was the sourly realist An Awfully Big Adventure (Ireland/UK/France/US, 1995) - with Hugh Grant defying his enveloping stereotype of ineffable niceness, and a drab, provincial 1950s setting worlds away from the sumptuous churches and stately homes of Four Weddings . He then seized the opportunity to make a big-budget American film, but his chosen subject, Donnie Brasco (US, 1997), was a downbeat Mafia film rather than a jaunty comedy. Dramatically strong and utterly unsentimental, with a virtuoso performance from Al Pacino , it recalls Dance with A Stranger in its measured sympathy for those who fall foul of society's conventions and find their lives sucked into a downward spiral. Newell returned to comedy with Pushing Tin (US, 1999), starring John Cusack and Billy Bob Thornton as rival air traffic controllers in New York; but Mona Lisa Smile (US, 2003), starring Julia Roberts as radical art teacher in a conservative American girls college once again returned him to women in the 1950s. He acted as executive producer on BBC Films ' I Capture the Castle (Tim Fywell, 2003), but suspicion that his directorial ambitions now extend beyond small scale films for television was confirmed by his assignment as director of the $130 million Harry Potter and the Goblet of Fire (2005).